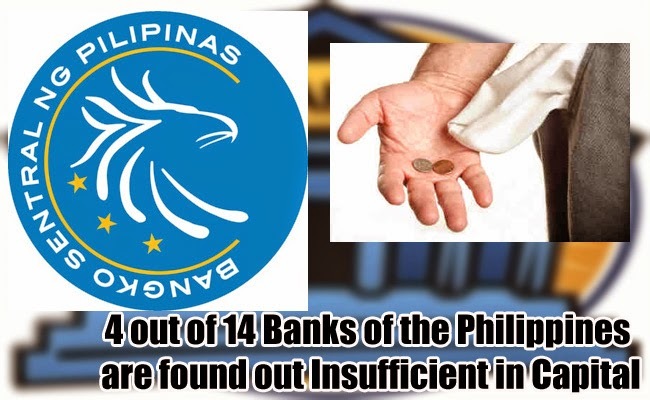 The Bangko Sentral ng Pilipinas are evaluating the banks under their supervision and out of the 14 Philippine banks referred as domestic systemically important banks (DSIBs), four are discovered to have capitals that are insufficient while two banks were just a little above the required level of the core capital. Majority of the 14 evaluated banks were compliant with the requirement of the common equity tier 1 (CET1). This indicates that the bank is at minimal risk of banking crisis as shared by the BSP. The CET 1 is used by the BSP to measure the bank’s capital strength compared to other lenders. The BSP is supervising 36 universal and commercial banks and out of this number, only 14 are categorized as DSIBs. The banks in this categoryare those whose banking crisis, failure or distress could cause significant effects in the economy and financial system. Under the Basel 3 reform agenda, guidelines are used to determine which bank belongs to DSIBS category. The evaluation are based in size, substitutability/financial institution infrastructure, interconnectedness, and complexity. The banks falling in this category is grouped into three according to their importance. The minimum common equity tier 1 ratio of the said important banks are required to be increased by 1.5 to 3.5 percentage points starting on Jan. 1, 2017. This will be depending on which group they belong. This requirement is on top of the CET1 minimum. Those who fails keep the capital ratio according to required regulatory minimum will be under constraints in the distribution of income. By the middle of 2015, banks will be informed if they are in DSIB category and which group they belong to. On the other hand, the evaluated status of the banks in the country will not be open to the public and will be strictly confidential.